This is a sampling of some of the projects we have been able to supply LED products at. All of these projects were in conjunction with our many electrical contractor partners. When we were asked to supply LED fixtures for this company, we knew we had to bring our industrial strength fixtures only! 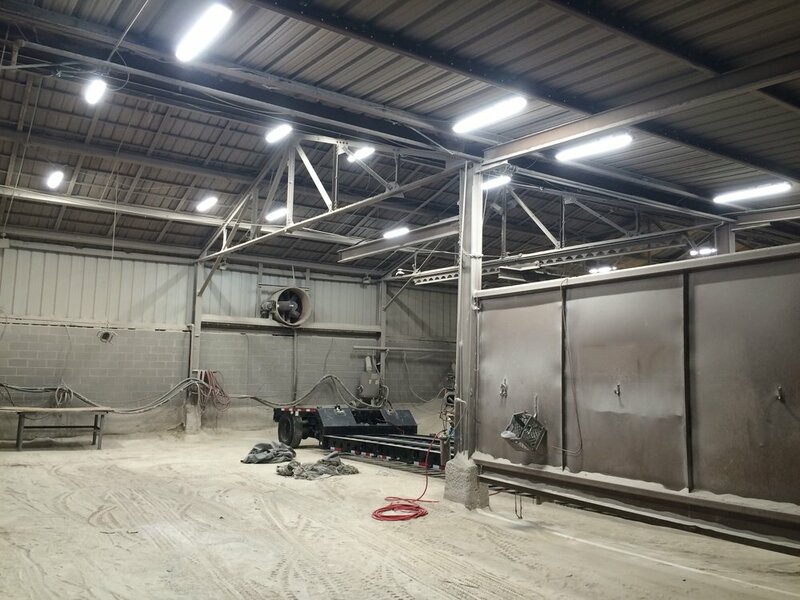 We replaced all of the existing 500w halogen fixtures in the sand blast bay with 180w Linear High bay with dust proof design and poly-carbonate lens to eliminate breakage. This not only drastically increased light levels, but provided a very quick payback. For details on energy savings, click below. This project included lighitng up the ramp of their Airplane Hangar facility at KCI Airport, as well as high bays in the hangar, and parking lot lights in the main parking lot and fuel . Multiple locations across the state? No problem. MGE contracted with us to provide and install LED fixtures at locations across the state - Kansas City, Monett, Republic, and Florissant (St. Louis). We have been fortunate to work with numerous McDonald's Owner Operators in the Kansas City metro area. 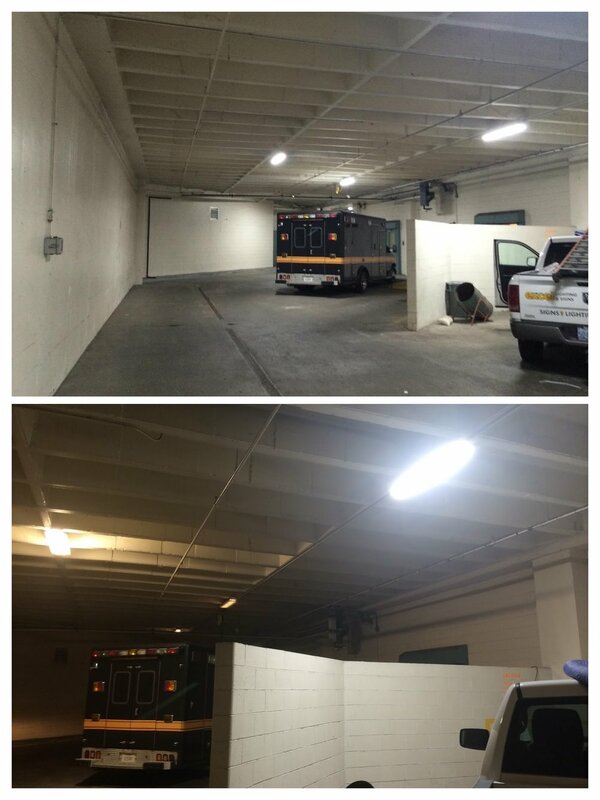 We have successfully changed parking lot lights, interior kitchen lights, Playplace high bays, and Signage to LED with impressive paybacks averaging less than 2 years with KCPL rebate.